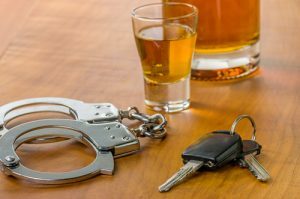 Can CO Dram Shop Laws Help Families of Fatal DUIs? > Blog > Car Accidents > Car Accident Compensation > Can CO Dram Shop Laws Help Families of Fatal DUIs? Vehicular homicides are never easy to discuss, especially when it involves a teenage driver who was allegedly driving under the influence of alcohol and responsible for the death of two elderly women. The young man was sentenced back in March, and he received to 12 years in prison. Now, what appears to be interesting in this case, is that a civil suit could come into play down the road should the families of the deceased want to recover damages in lieu of their love one’s death. The 19-year-old defendant in the case was convicted of being drunk and high, when the accident occurred, according to police reports. The accident occurred April 1, 2016 in Arapahoe County. One 77-year-old female and an 82-year-old female were on their way back from selling cosmetic products, when the 19-year-old male’s car slammed into the other vehicle doing somewhere between 60 and 70 m.p.h. Toxicology reports show the defendant had marijuana, cocaine and anxiety medication in his system at the time of the accident. Investigators also reported that they told them he had drank three beers an hour before the accident. The person who caused the injury must be visibly intoxicated and be under the age of 21 when they received the alcohol from the store, bar, or household. Visible impairment must be witnessed, including slurring of words, loss of coordination, falling down, etc. Injured parties can seek compensation for such things as lost wages, medical expenses and bills, and pain and suffering. In Colorado, dram shop cases have a cap on awards or settlements of $150,000. The statute of limitations for draw shop law cases requires that plaintiffs file within one year of the date of their injury. Have you or a loved one been injured by an underage drunk driver? If so, the Colorado Springs Car Accident Lawyer at Shakeshaft-Gorman Law Firm LLP is ready to advocate your rights, and help you recover compensation for damages using Colorado’s dram shop laws. We’ll happily arrange a free consultation to explain what options you have going forward. To schedule a consult with the car accident attorney a Shakeshaft-Gorman Law Firm LLP, call (719) 635-5886 or (800) 383-5886. Or, feel free to email him using the contact form on this page. We are located in Colorado Springs, but we’ll take cases in nearly every reach of Colorado. 1“Colorado teenager gets 12 years for DUI crash that killed 2 women” published in the Colorado Spring Gazette, March, 2017.